We humans don't seem to really like having our rights infringed upon, especially when you start messing with our vices of choice. One need not look further than the Prohibition Era to see this, specifically within America, though Canada went through a very similar experience. On January 16th, 1919, Congress ratified the Eighteenth Amendment, just a little over a year after it was first proposed, despite President Woodrow Wilson's veto. One year and one day later, the majority of “intoxicating beverages” became illegal to sell or create. So what came out of this? Well, needless to say, that year between the ratification and enactment was probably full of “end-all, be-all” style parties, at least it would have been had this same Prohibition taken place today. In the 1920s, Americans did what humans always do: found a solution to their problem. We are problem solvers, and good ones. Some solutions were simple ones, such as importing alcohol from Canada, Mexico, and Jamaica. 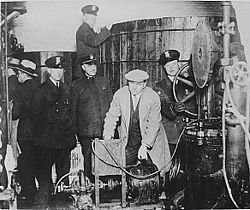 Those who were best at illegally importing these treasured liquids wanted to make a profit for their risk, and they found this profit in the form of speakeasies. So much were these speakeasies a part of American culture that children today are still impacted by it; “What's the password?” is a common phrase in childhood games, along with “Murphy sent me,” or something along those lines. These speakeasies were often in basements, with their doors sometimes located behind counters or in an alley and guarded by burly men ready to fend off those who did not belong. Once one passed through the door equipped with the knowledge of the secret password, one passed into a different world. In these rooms, sometimes cramped and sometimes spacious, almost always filled with cigar and cigarette and pipe smoke, men gathered together to enjoy their vice of choice away from the scrutinizing eye of Big Brother. 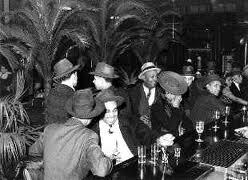 There are many bars in existence today that try to replicate the feel of those speakeasies, some going so far as to require a password, though failure to answer correctly does not result in a pummeling, as it might have the the '20s. For the first time in my life, however, I was recently able to experience what was, in my mind, the closest thing to a Prohibition Era speakeasy: the cigar lounge at Brennan's in the Central West End of St. Louis. 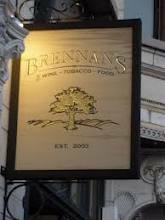 I walked in the main door of Brennan's to celebrate a friend's birthday. Inside, it was a small bar with twelve stools and bottles lining the wall behind the counter. At the right end of the bar was a small humidor containing half a dozen boxes of cigars. Yellow Post-It notes were stuck everywhere by the bottles behind the bar, which piqued my curiosity. “That's our computer system here,” said the bartender with a smile. Behind where I was sitting, I heard the sound of a harmonica emanating from a small doorway that led to a narrow, stone stairway. Jeff, a friend of mine from the pub where I work, told me that that basement used to be a speakeasy. “There used to be a counter here,” he said, indicating an area in front of the doorway leading to the stairs. “That way, when someone went back here, people just thought they were going to the back of the shop.” Clever. The place was nice and the Manhattan I ordered was enjoyable, but I knew there had to be more. I had read previously that this was a cigar lounge, but I was told that smoking wasn't even allowed inside. I pulled my Castello 55 out of my pipe bag and looked at it longingly, preparing to take it back to the car, as I had clearly been misinformed. Once I pulled my pipe out, however, the bartender instructed me to exit the bar, take a quick left, and walk through the large doors. I did what she said, because I'm the trusting type, and left my lady at the bar to keep the birthday boy company. Outside, there were two heavy doors, completely unmarked. Shouldering open the left door, I saw an old, wooden staircase, nearly completely dark. As I started to make my way up the steps, small lights by my feet were activated by motion sensors, illuminating only enough of the stairs to get me to the next light source. Once up the steps, I found another small bar, with a bartender hand-polishing glasses the way they always do in mobster movies. This is cool, I thought to myself. It's not what I expected, but it's pretty cool. The upstairs bar had a modern feel to it, which was a bit of a downer to me. “So, I can smoke my pipe here?” I said as I pulled up to the bar. “Nope, just cigarettes here,” the bartender responded. “The cigar lounge is for members only,” he continued casually. Of course, I needed another Manhattan! The bartender took me through another backdoor area, where I saw a case full of cigar cutters and accessories, so I knew I was close. Stepping through a final door, the entire environment changed. In here, there was a tiny bar, enough room for three people to sit and only enough alcohol for the bartender to make the classics – though the full bar was only a hop and a skip away. On the walls were bottles of single malt scotch and whiskey and framed photographs. A little alcove behind the bar contained a record player, at that moment playing John Coltrane – in fact, the bartender changed the record to Miles Davis's “Kind of Blue” right when we walked in. Beyond the glass case containing myriad Zeno Cigar boxes and accessories was a 10' by 20' room with couches, leather chairs, tables, and even a workbench with an intense light for inspecting pipes and cigars. The room was pretty full when I arrived, with a young lady smoking a cigar to my left and men smoking pipes spread throughout the room, talking and laughing and swapping pipes and tobacco. Next to the woman was a man named Clayton, who jumped up to shake my hand and greet me as soon as I walked in. I must have looked like a cat inspecting an active vacuum cleaner, but Clayton clapped me on the shoulder, pipe in his mouth, and started introducing me to the entire room. I then found out that I had serendipitously arrived at Brennan's on the very night that the Viking Pipe Club was meeting. What luck! After being introduced to a number of people, I reclaimed my Manhattan from the small bar and found a spot on one of the couches. I had been carrying my Junior Archer PipeFolio with me the entire time, so I finally pulled out my Castello 55 and started to load it with Full Virginia Flake. “Nice fifty-five!” a gentleman across from me said. He then pulled out his own Castello 55 and we exchanged pipes for inspection. This was a totally new experience for me. In all of my time enjoying pipes – which I admit is not that much, but the point remains – I had never been around such a large group where my pipe could be identified by make and model by so many people so easily. On the table in front of the man, who I later found out was a lawyer, were three tins: Union Square, Escudo, and Full Virginia Flake. This, too, was a new experience for me. Don't get me wrong, there is nothing wrong with drug-store tobacco as long as it makes you happy. However, I tend to enjoy the craft blends like those of G. L. Pease and Esoterica, and here, for the first time, were other people who enjoyed the same. 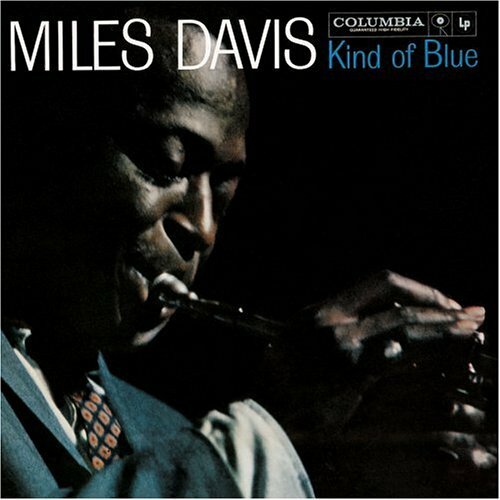 Burning all around me were many fine blends: a Samuel Gawith rope, Night Cap, Full Virginia Flake, Shortcut to Mushrooms, and many more. While the evening progressed, I started to realize that this was the speakeasy of my day. Here, gentlemen, and a lady, enjoyed their vice of choice away from the judgmental eye of a society that scorns them for their pleasures; here, they enjoyed their pipe and cigar and drink with others who not only put up with those vices, but accepted and embraced and loved those same pleasures with just as much enthusiasm. Up those barely illuminated steps, a group of people found solace and acceptance and friendship in a society that wants nothing more than to see their kind eliminated. Here, they were safe. Great story. Gotta love life's little adventures! My name is Ethan Brandt. I am a Skeptical Humanist currently attending Washington University in St. Louis. I picked up my first pipe my freshman year of college and I have never looked back. Since then, I have done everything I can to learn about pipes, tobacco, and everything involved. Far from a master, I find myself learning something new everyday.